Forest Edge Motel offers a warm and friendly welcome from the proprietors and staff. The Forest Edge Motel has been built up over the last 11 years with many guests returning monthly/yearly leaving us with great reviews. 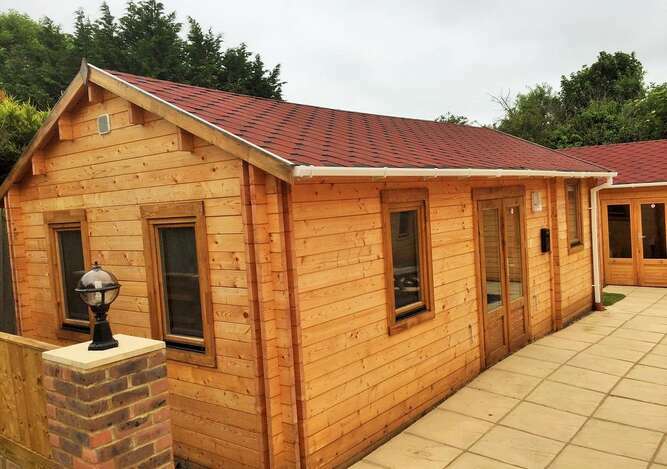 In 2017 we introduced to our business four log cabins which are very popular with our guests. We reguarly maintain our rooms to a high standard and welcome any feedback when you stay with us. 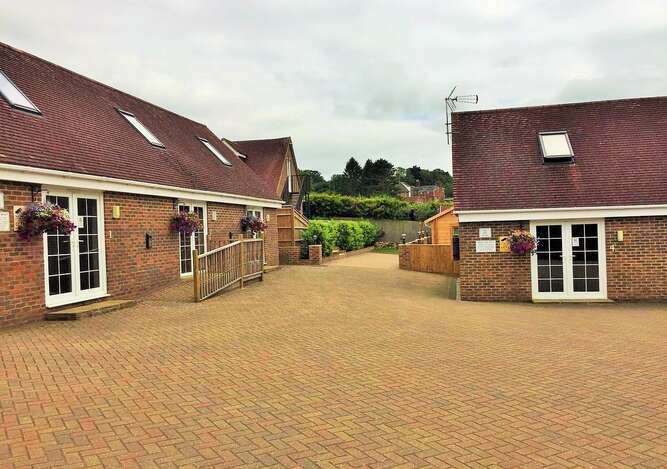 We are located on the A21 we are 15 miles north of Hastings, and just 30 miles south of London, Forest Edge Motel is the ideal place to book for your visiting needs to the area. Whether its leisure, weddings, tourist attractions or work we welcome you all. 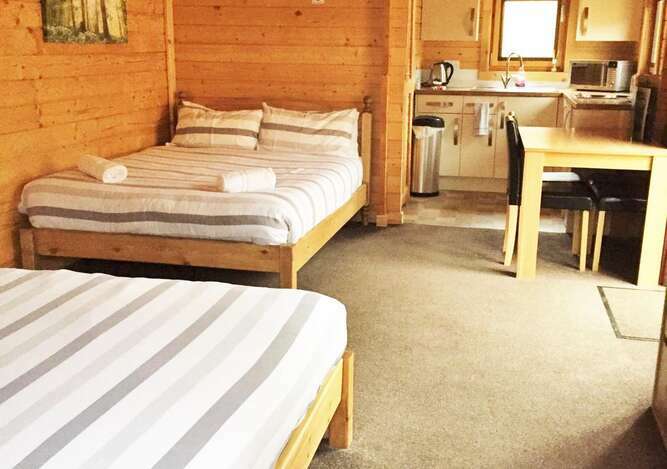 Whether passing through or visiting one of the many local tourist attractions we assure you the highest quality accomodation at an affordable price. Please feel free to call, email or visit us with any queries you may have or to view our rooms before booking. We welcome group bookings but do ask you reserve your rooms in advance as we do get very busy. 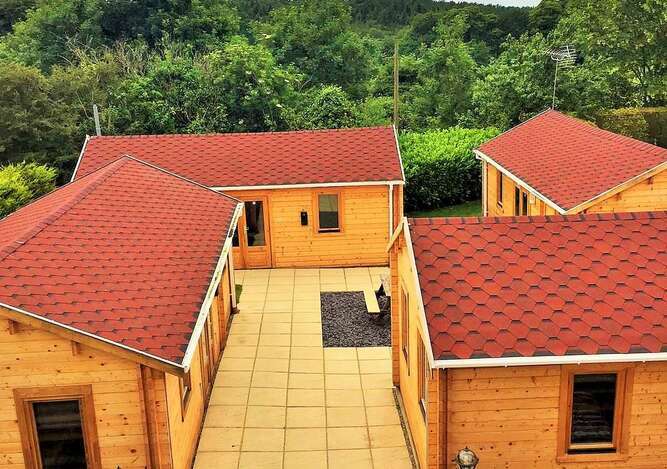 Our two-storey chalets and log cabins offer something very unique and different with competitive prices within the local area of other hotels and motels. 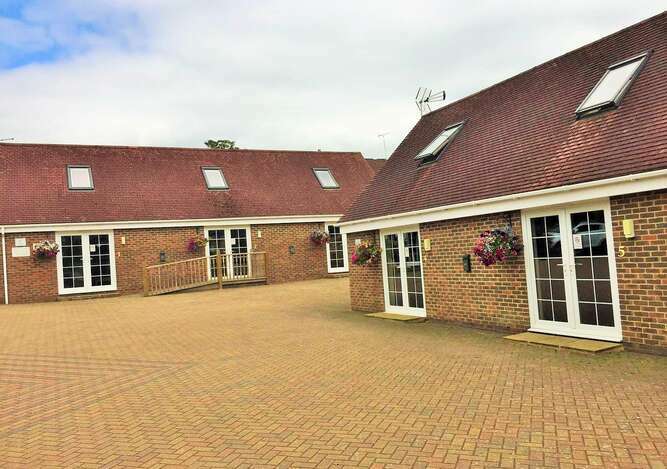 They are set back off of the main A21 giving you a quiet and comfortable location to stop and relax. We supply all of our rooms with towels, linen, toiletries, cutlery, crockery, tea and coffee facilities, ironing board and iron, hairdryer. All of our tv's come with freeview and we do also have free Wi-Fi for our customers to use. Local Places to Eat: The Royal Oak Flimwell , The A21 Diner , The Brown Trout Lamberhurst, The Bell Ticehurst, The Claypot Indian Hurst Green, Eurasia Chinese Hurst Green, The Vineyard Lamberhurst. Travel cots are available free of charge. 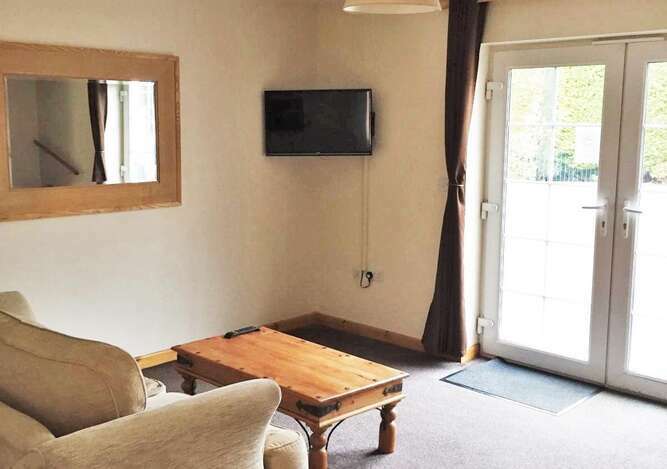 All prices include a continental breakfast which is provided to you in our chalets. Dependant on availability please feel free to phone reception on 01580879222 regarding early check-ins and later check-outs.